Spring is such a special time of the y ear. There is nothing quite like walking around a garden bed that shows a hint of what is to come with perennial bulbs starting to flower. 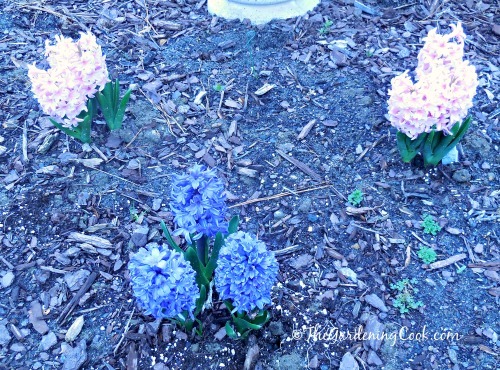 These 3 easy bulbs will bring you color year after year. 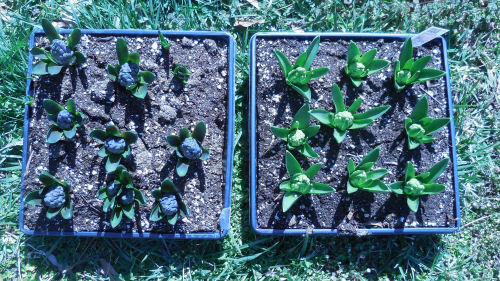 Plant these bulbs in fall for a blast of early spring color. 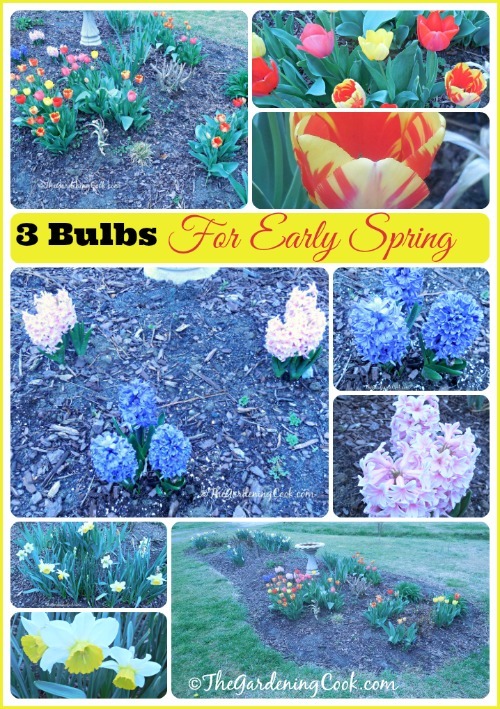 3 Easy Bulbs for Early Spring. It’s been a long winter everywhere in the country. I have lived in NC for 21 years and cannot remember when we had such a late spring here. Normally, by this time of the year, I have loads of vegetables and flowers, but not this year! There is promise though. 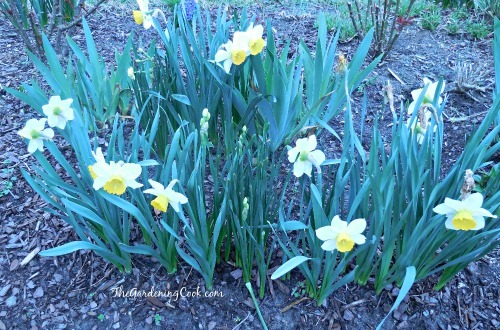 I recently wrote an article on spring in my garden in March. I did it mainly to show myself that there is actually a bit of color already. Nothing starts my day off on the right foot like going out front to my large garden bed. I spent 44 hours tilling the soil and removing the sod by hand, so even though this is not my largest bed, it is the one closest to my heart. Today when I was outside, I was greeted with this display. 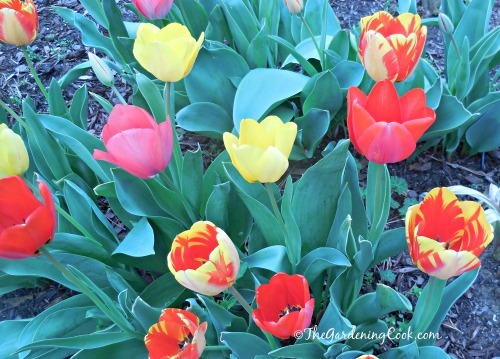 The colors on the tulips is just fabulous and they are only about 1/3 opened. Can’t wait to see them next week! 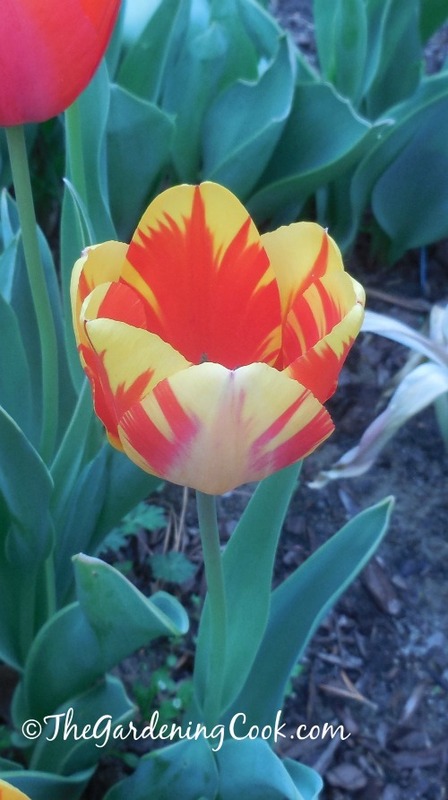 The thing that I live most about tulips is how striking the color is. They are very short lived, but so worth having just for those few weeks. I love the variegation on this beauty! 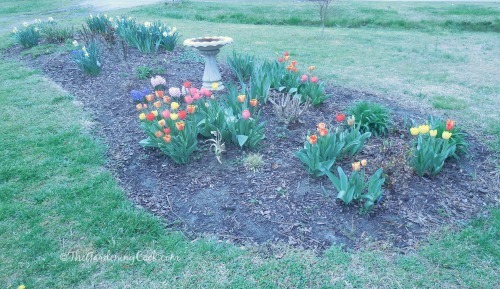 My daffodils are almost done in many areas of my garden, but the front bed still has a lovely display of them. It gets full sun and some of the other beds are a bit more shaded. Sun rules! I have both plain white and also yellow and white. The two colored ones are my favorites. The cheery yellow center seems as though it is greeting me with a smile. 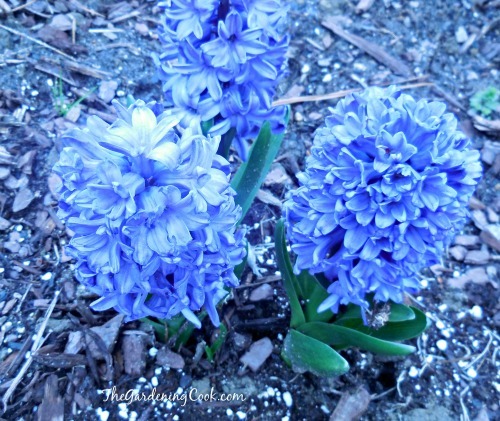 New to my garden this year are my hyacinths. I’ve had them inside as forced bulbs but never found them as bulbs in my garden centers. This year Lowe’s had flats of them ready to bloom. They were a bit expensive but I had wanted them so much I sprang for two trays of them in two colors. The pink color is deep and vibrant and as plump as can be. And the blue…well anyone who knows flowers, is aware how rare it is to find blue flowers. The color on these is just fabulous! There you have it. 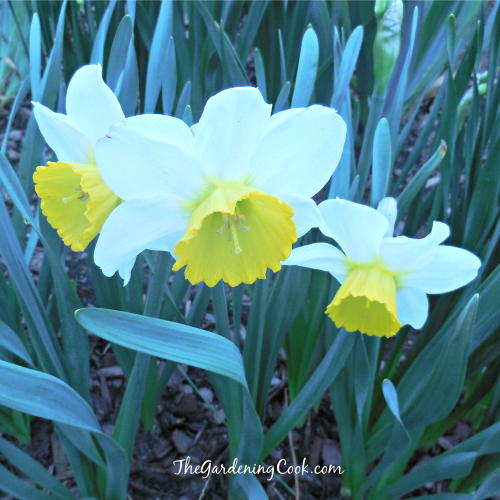 Three easy to grow bulbs for a great show in early spring. 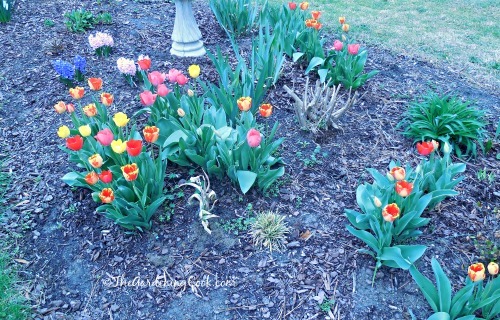 And the wonderful thing is that, like all bulbs, you plant them once and they come back year after year. Best of all, the clumps will naturalize and get larger each year. 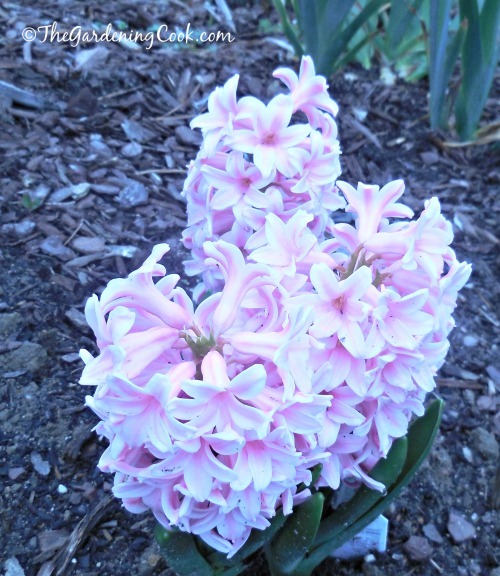 If you have trouble finding these at your garden center, my affiliate Amazon has a great range of all 3 easy bulbs in various colors. Here are some that are available.